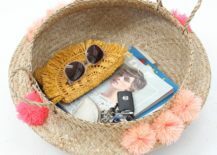 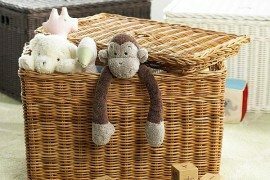 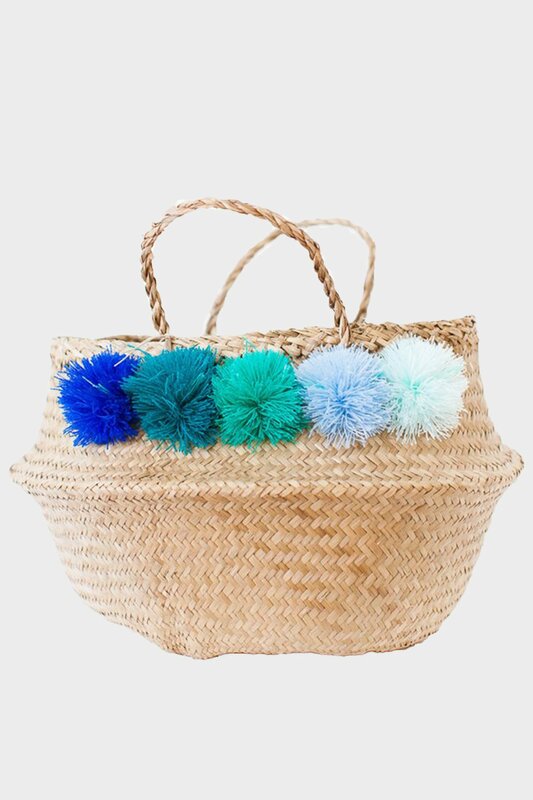 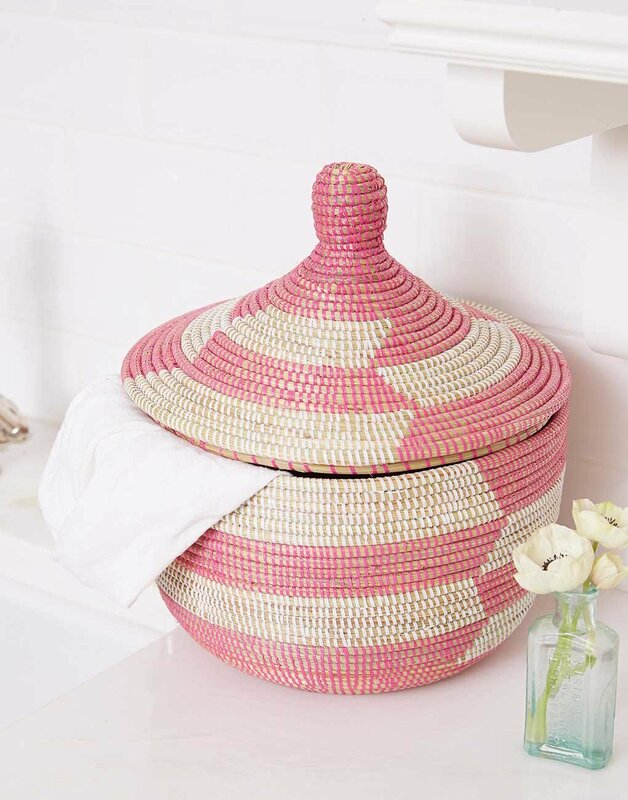 Use a Chic Storage Basket! 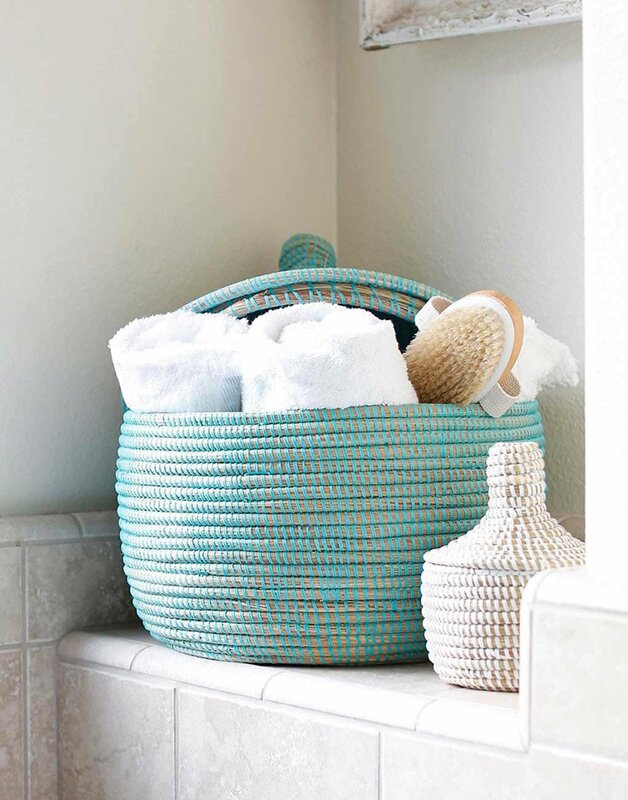 Remember: even small baskets can provide valuable function by containing a range of items. 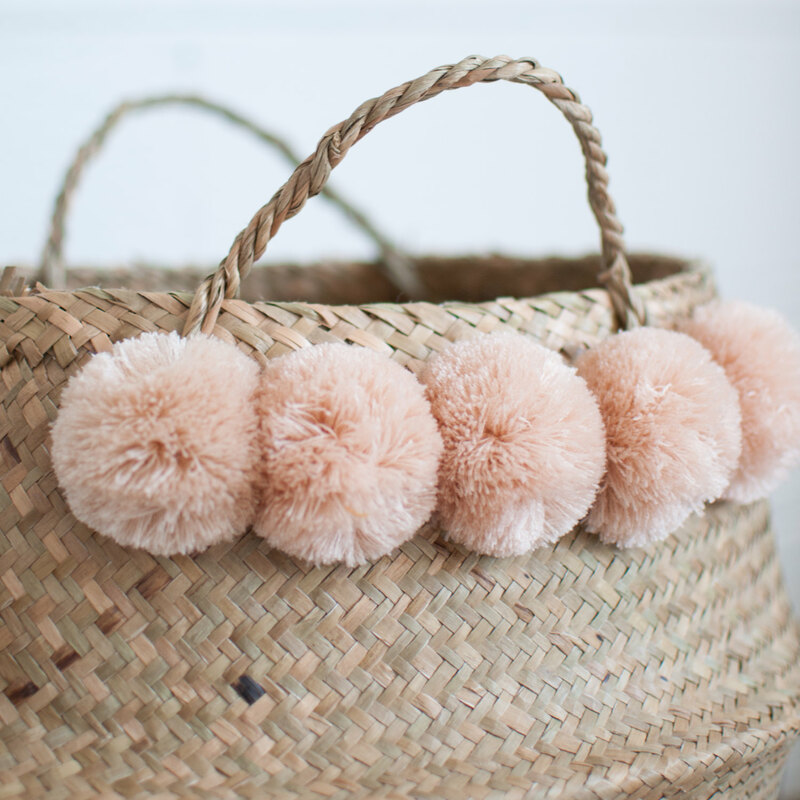 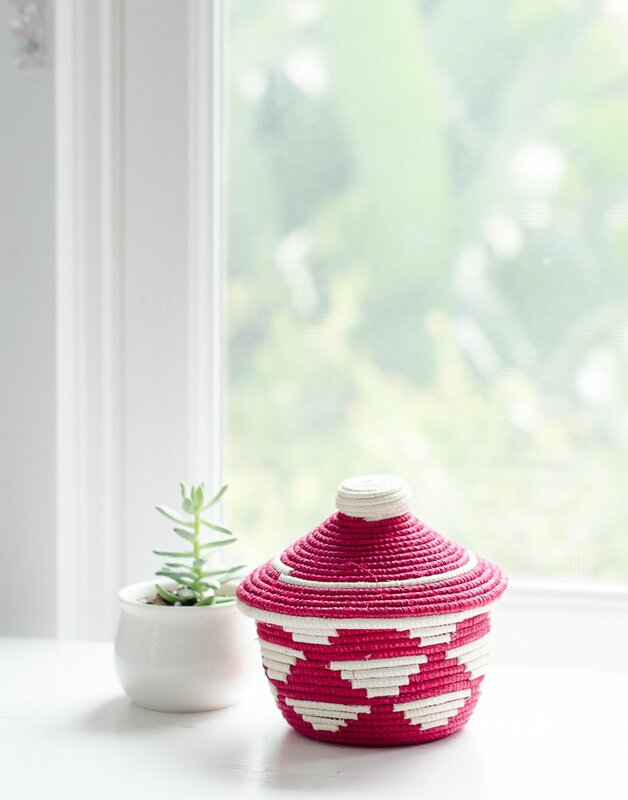 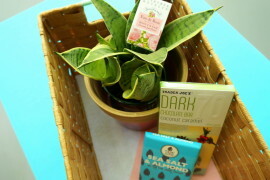 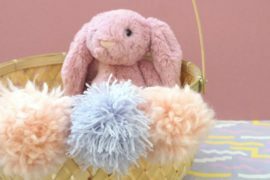 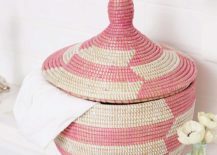 Thanks to unique selections like this cherry-toned basket from The Little Market, compact pieces can make a big impact! 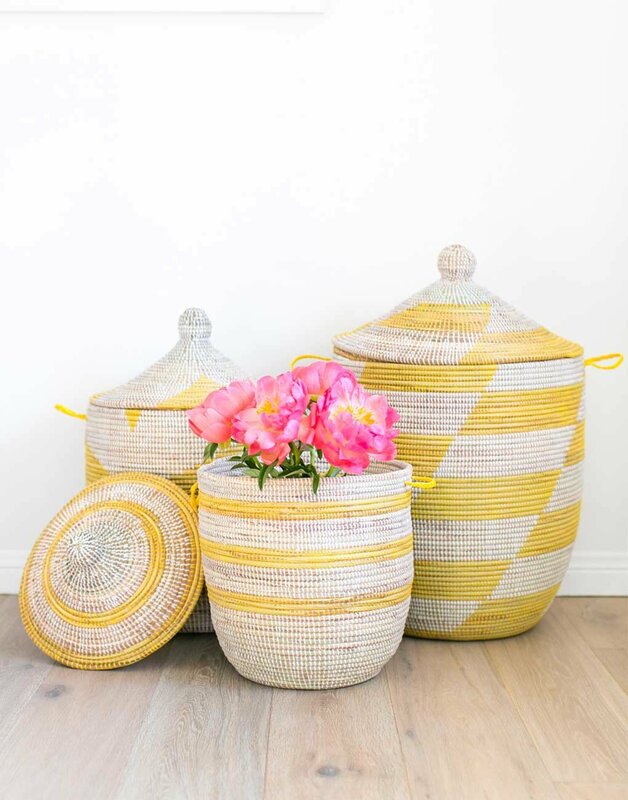 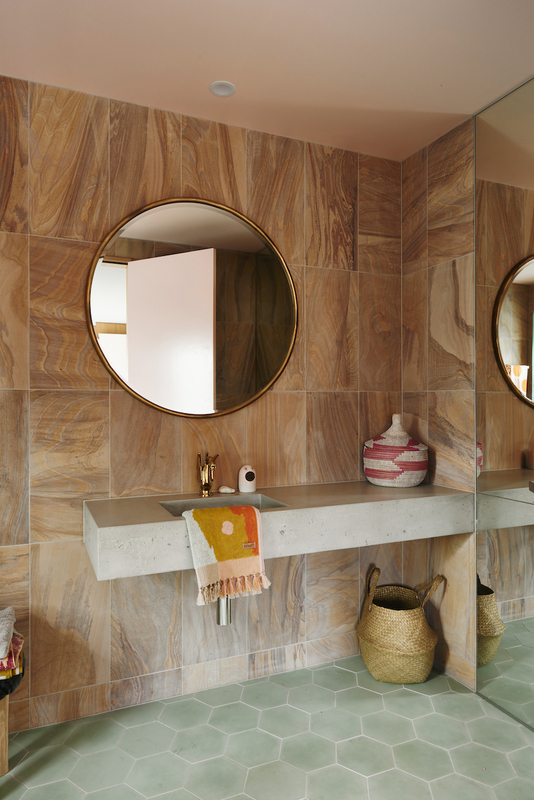 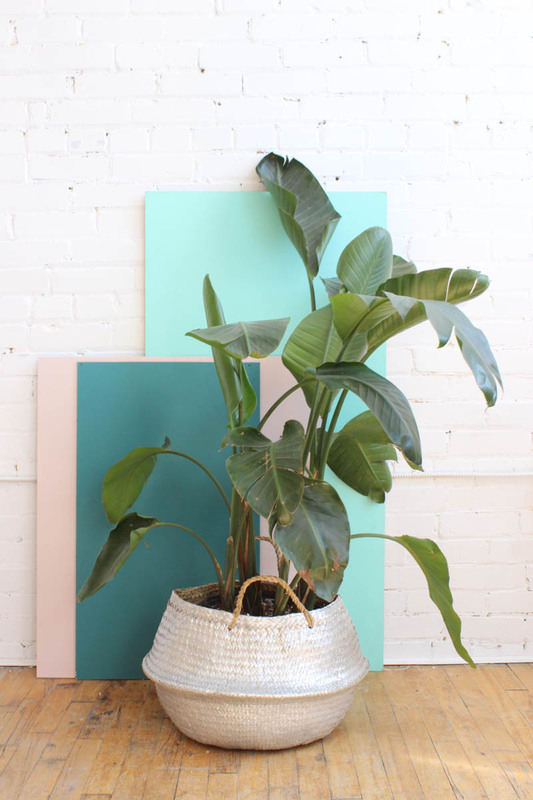 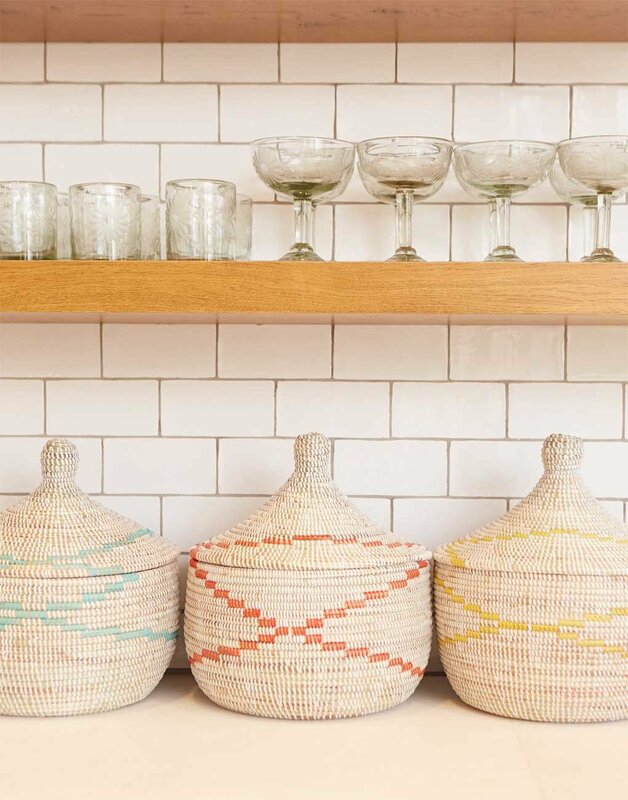 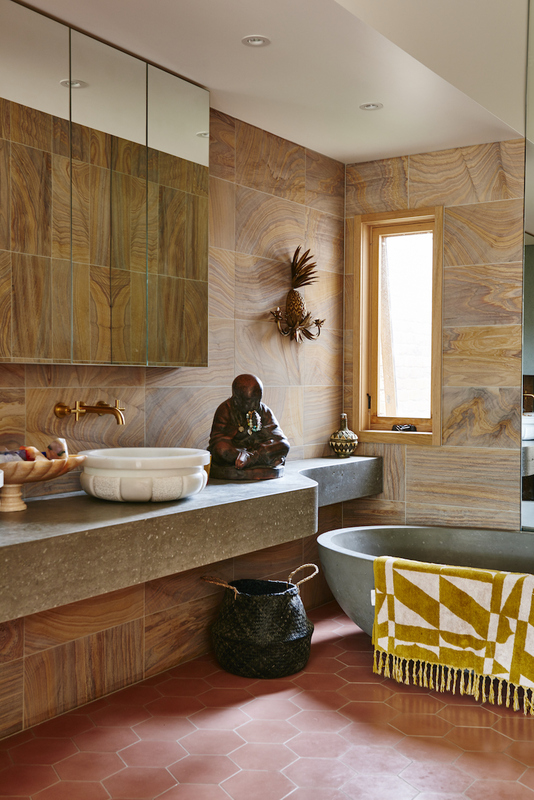 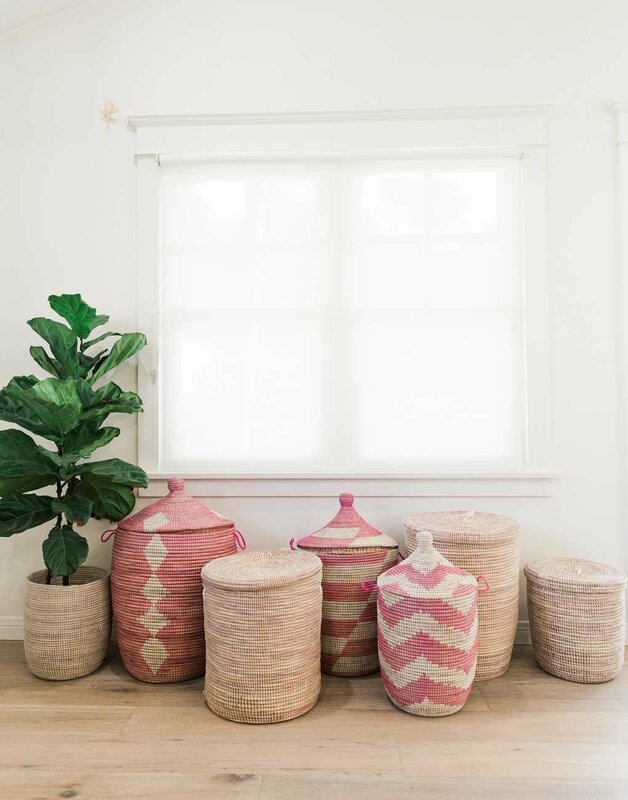 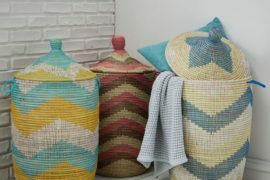 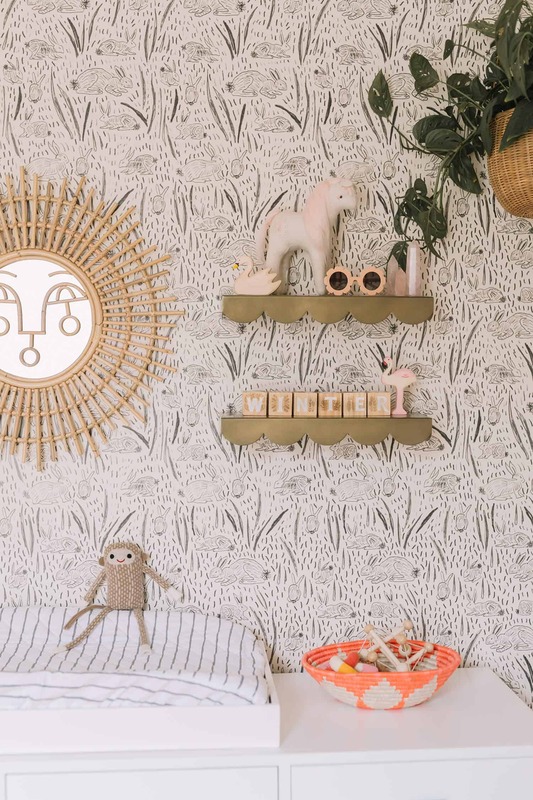 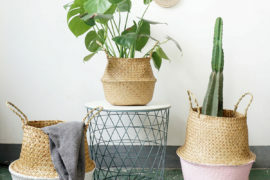 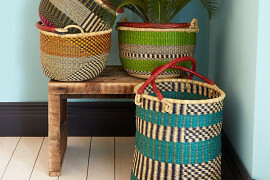 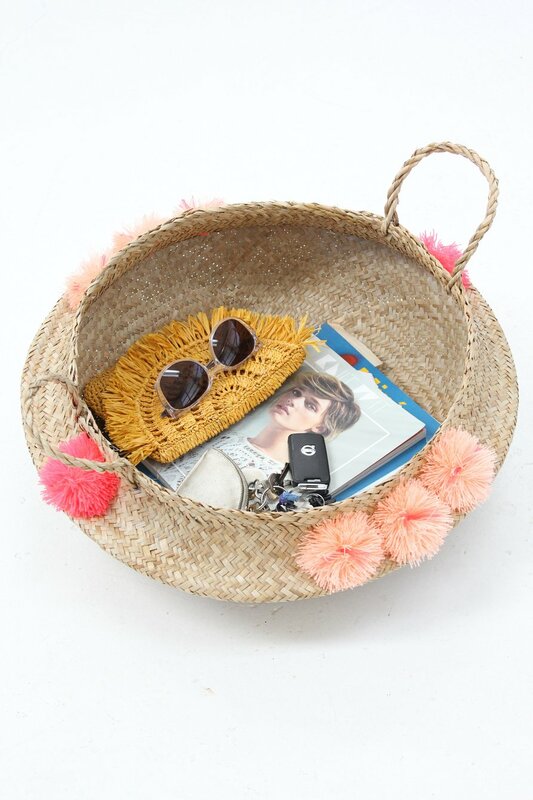 When it comes to interesting baskets for every room of the house, the possibilities are endless. 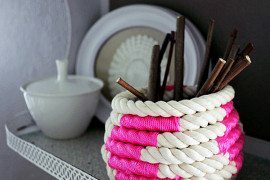 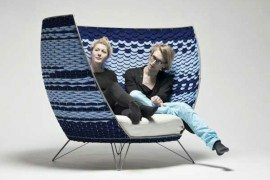 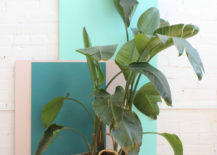 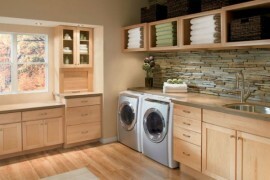 Let’s now take a look at how to use them to your advantage at home! 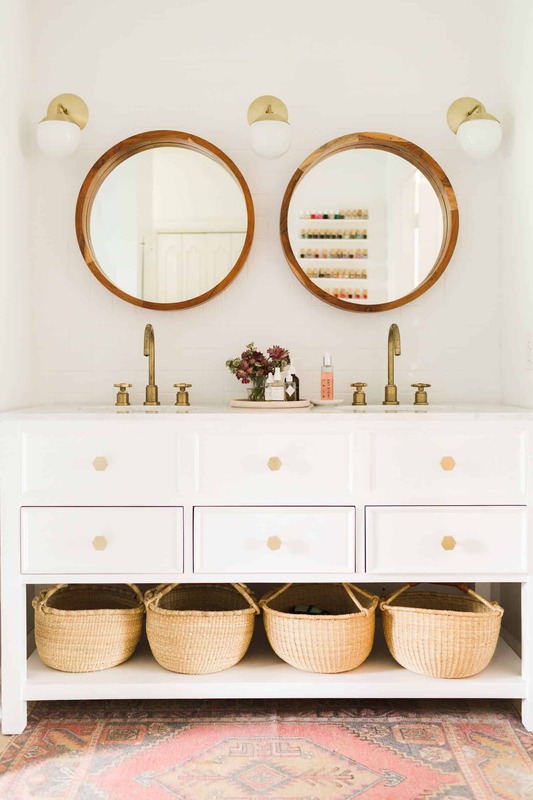 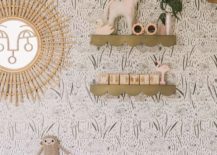 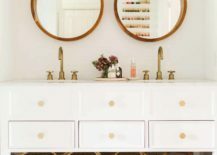 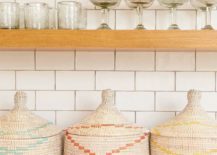 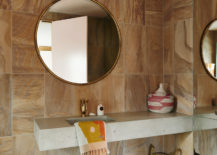 In the same home tour (featured at Camille Styles), a basket on the counter and a basket on the floor are major style components that also provide function.